High Blood Pressure and Endothelium Part 2! 77% of Americans treated for a first stroke had high blood pressure! 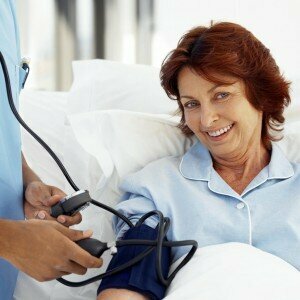 69% of Americans who experienced a first heart attack had high blood pressure! 74% of Americans with congestive heart failure have high blood pressure! 66% of Americans with diabetes have high blood pressure! As you can see, high blood pressure needs to be paid attention to. It is why it’s so critically important to repair and nourish your endothelium to help it properly product nitric oxide – the master signaling molecule of your entire cardiovascular system. These two video will help you learn how to naturally repair your endothelium so that it can properly produce nitric oxide. Nitric oxide can aid you in maintaining normal blood pressure without medication or with significantly less medication. These Key Nutrients Can Naturally Prevent High Blood Pressure! In addition to these six nutrients, the following video also examines 5 additional nutrients that can have an impact on endothelial cell health and function. Together these 11 nutrients can help you naturally reduce your high blood pressure concerns. How ProArgi-9 Plus Can Help Those With High Blood Pressure! Most vascular researchers will tell you that your endothelium plays a vital role in determining your blood pressure. In our last video we looked at eleven different nutrients that can provide a natural pathway towards reducing high blood pressure. Specific nutrients that have been shown to help repair and nourish the endothelium and improve its ability to properly produce nitric oxide – the master signaling molecule of your entire cardiovascular system and your body’s most potent vasodilator. Many people try a piece meal approach by taking multiple supplements. Wouldn’t it be nice to have one supplement that incorporates most of the nutrients? This video discusses ProArgi-9 Plus which contains many of these nutrients and has been clinically proven to repair and nourish the endothelium for improved nitric oxide production. You Can Repair and Nourish Your Endothelium to Help Reduce the Risks for High Blood Pressure! Over the course of these four videos we’ve given you a lot of information about how your endothelium and nitric oxide play a critical role in high blood pressure. If you or a loved one are experiencing the challenges of high blood pressure, then please share this information with your physician. Together you can implement a natural approach to help repair this critical organ and enhance your body’s ability to create nitric oxide. Work with your physician to monitor your progress and make adjustments in medications. Over time you can reduce, maybe even eliminate, many of your high blood pressure prescriptions. If you found the above videos helpful, then please share this information on Twitter and Facebook so that others can benefit. The information contained in this article is for general information purposes only and never as a substitute for professional medical advice or medical exam. The information about high blood pressure has not been evaluated by the Food and Drug Administration and should not be used to diagnose, treat, cure or prevent any disease without the supervision of a qualified medical doctor.